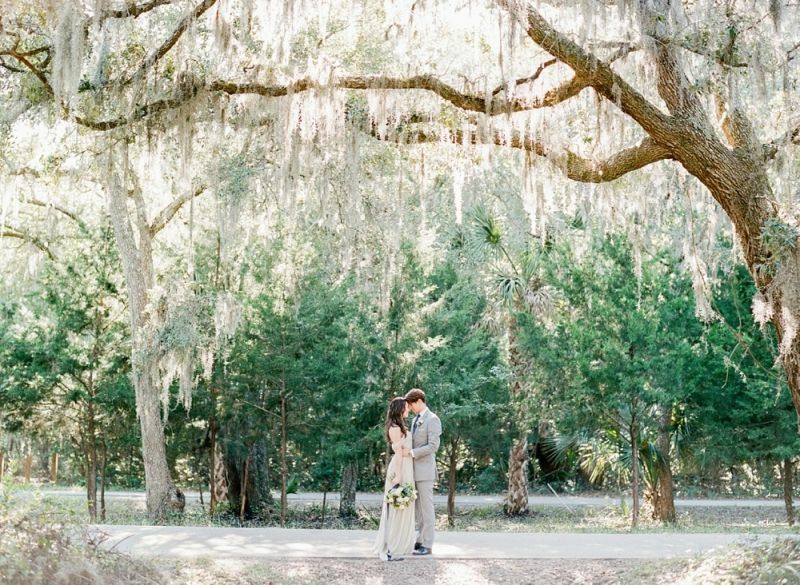 "While we love big weddings filled with an abundance of family, friends, and over-the-top details, sometimes an elopement is the best option for a couple in love and excited to get married! And what better way to kick off married life than to return to the scene of the engagement? 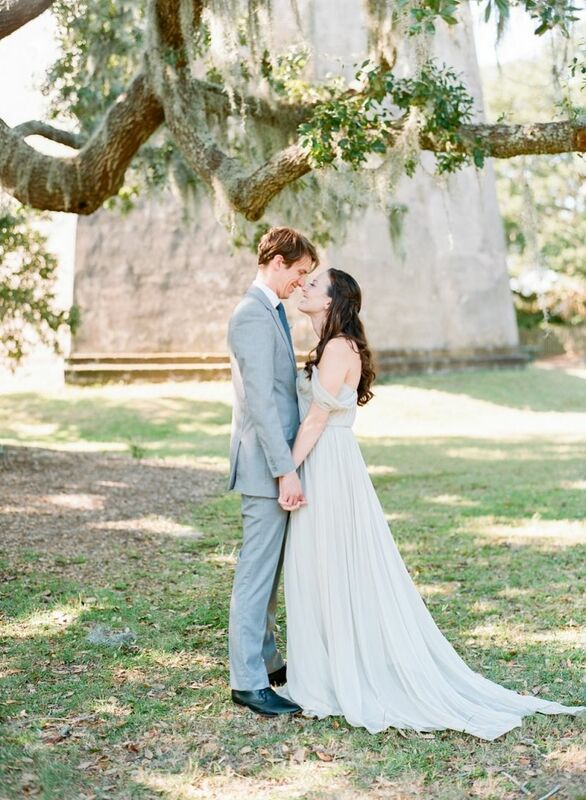 For this celebration of love, our couple opted to travel back to the coast, to secluded Bald Head Island, for their intimate, natural elopement. They were engaged in this exact spot, with the waves crashing against the shoreline, the gentle breezes off the ocean, the sand beneath their toes, and the fading grey lighthouse just in sight. Their only witness during their coastal elopement was their precious dog, adorned with his own floral collar! As the sun began to set over the ocean, the betrothed couple exchanged vows with their toes in the ocean and placed their vows into a corked wine bottle to send off to sea. We drew our inspiration from nature: an oyster shell and the natural setting of the ocean and Bald Head Island. The oyster, with its darker, moodier colors, is unique way to have a nautical or beach-inspired feel and brings sophistication and elegance to the coast. 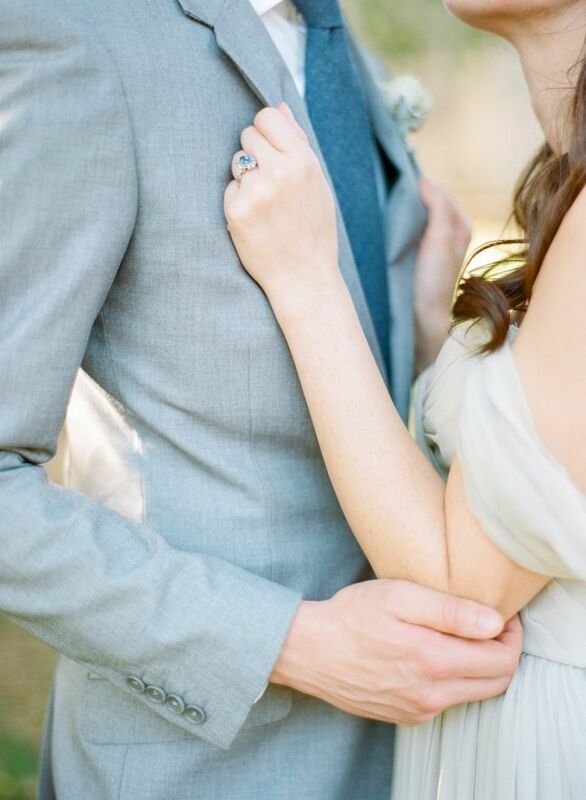 We wanted to pull in plenty of blues and greys, as well as some creams and blacks and pops of greenery. 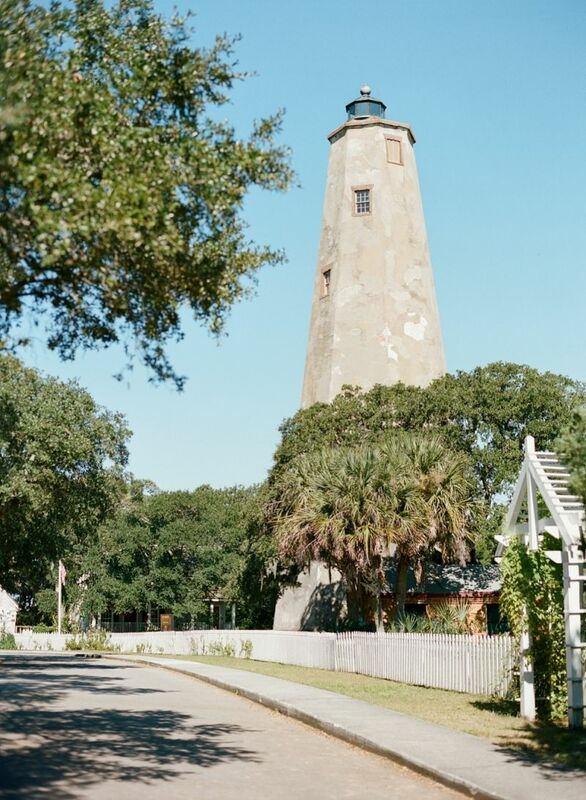 The gentle coastline, ocean, dripping Spanish moss, dappled sunlight, and Old Baldy Lighthouse created the perfect backdrop for this elopement, drawing all of the elements together into a unified, romantic look. 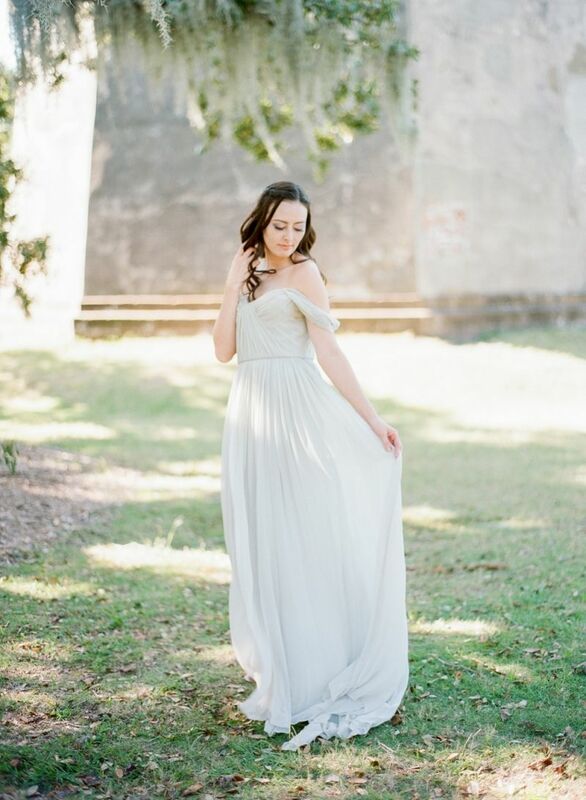 A billowing grey wedding dress and lush, contrasting trailing ribbons played off of the colors and the breezes of the ocean beautifully and added dimension and movement."